Welcome to the third edition of the AWS Serverless ICYMI (in case you missed it) quarterly recap. Every quarter, we share all of the most recent product launches, feature enhancements, blog posts, webinars, Twitch live streams, and other interesting things that you might have missed! If you didn’t see them, catch our Q1 ICYMI and Q2 ICYMI posts for what happened then. In August, AWS Amplify launched the AWS Amplify Command Line Interface (CLI) toolchain for developers. The AWS Amplify CLI enables developers to build, test, and deploy full web and mobile applications based on AWS Amplify directly from their CLI. It has built-in helpers for configuring AWS services such as Amazon Cognito for Auth , Amazon S3 and Amazon DynamoDB for storage, and Amazon API Gateway for APIs. With these helpers, developers can configure AWS services to interact with applications built in popular web frameworks such as React. 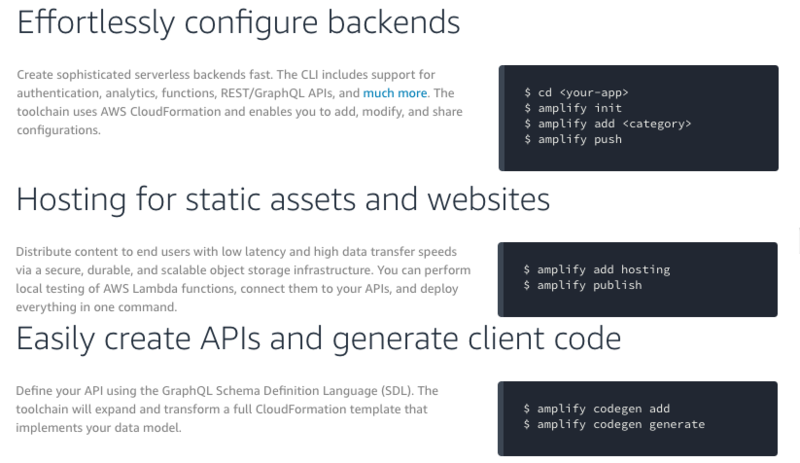 Get started with the AWS Amplify CLI toolchain. Rejoice Microsoft application developers: AWS Lambda now supports .NET Core 2.1 and PowerShell Core! AWS SAM had a few major enhancements to help in both testing and debugging functions. The team launched support to locally emulate an endpoint for Lambda so that you can run automated tests against your functions. This differs from the existing functionality that emulated a proxy similar to API Gateway in front of your function. 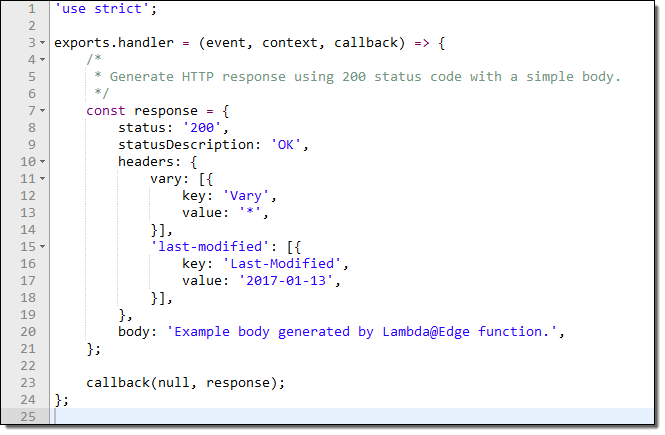 Combined with the new improved support for ‘sam local generate-event’ to generate over 50 different payloads, you can now test Lambda function code that would be invoked by almost all of the various services that interface with Lambda today. On the operational front, AWS SAM can now fetch, tail, and filter logs generated by your functions running live on AWS. Finally, with integration with Delve, a debugger for the Go programming language, you can more easily debug your applications locally. If you’re part of an organization that uses AWS Service Catalog, you can now launch applications based on AWS SAM, too. 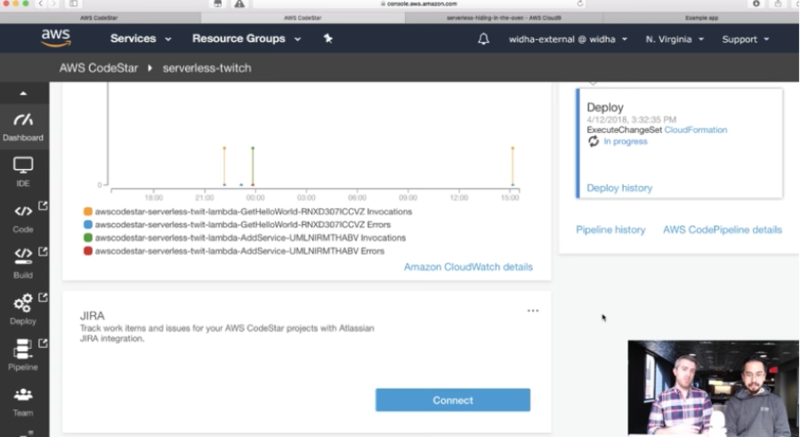 The AWS Serverless Application Repository launched new search improvements to make it even faster to find serverless applications that you can deploy. In July, AWS AppSync added HTTP resolvers so that now you can query your REST APIs via GraphQL! API Inception! AWS AppSync also added new built-in scalar types to help with data validation at the GraphQL layer instead of having to do this in code that you write yourself. For building your GraphQL-based applications on AWS AppSync, an enhanced no-code GraphQL API builder enables you to model your data, and the service generates your GraphQL schema, Amazon DynamoDB tables, and resolvers for your backend. The team also published a Quick Start for using Amazon Aurora as a data source via a Lambda function. Finally, the service is now available in the Asia Pacific (Seoul) Region. Amazon API Gateway announced support for AWS X-Ray! With X-Ray integrated in API Gateway, you can trace and profile application workflows starting at the API layer and going through the backend. You can control the sample rates at a granular level. API Gateway also announced improvements to usage plans that allow for method level throttling, request/response parameter and status overrides, and higher limits for the number of APIs per account for regional, private, and edge APIs. Finally, the team added support for the OpenAPI 3.0 API specification, the next generation of OpenAPI 2, formerly known as Swagger. 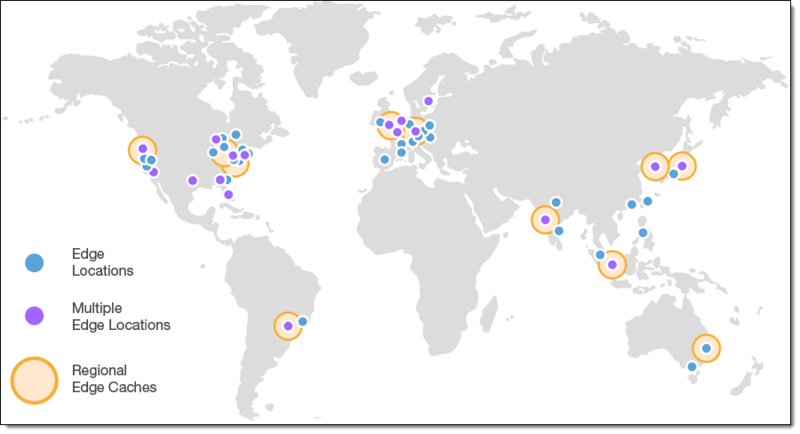 AWS Step Functions is now available in the Asia Pacific (Mumbai) Region. You can also build workflows visually with Step Functions and trigger them directly with AWS IoT Rules. AWS [email protected] now makes the HTTP Request Body for POST and PUT requests available. 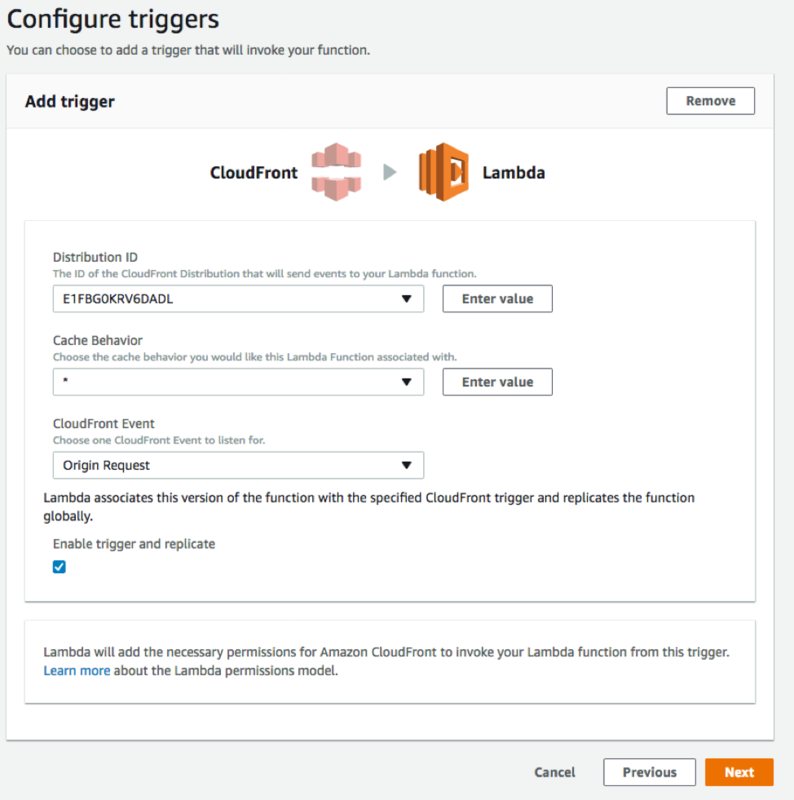 AWS CloudFormation announced Macros, a feature that enables customers to extend the functionality of AWS CloudFormation templates by calling out to transformations that Lambda powers. Macros are the same technology that enables SAM to exist. We’ve been busy streaming deeply technical content to you the past few months! 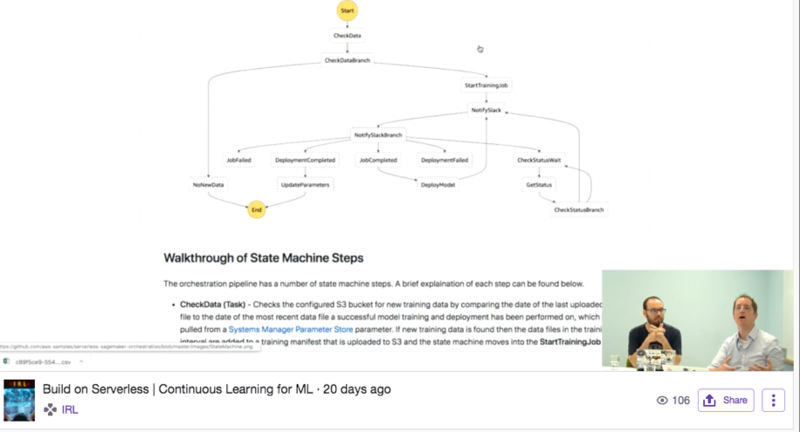 Check out awesome sessions like this one by AWS’s Heitor Lessa and Jason Barto diving deep into Continuous Learning for ML and the entire “Build on Serverless” playlist. 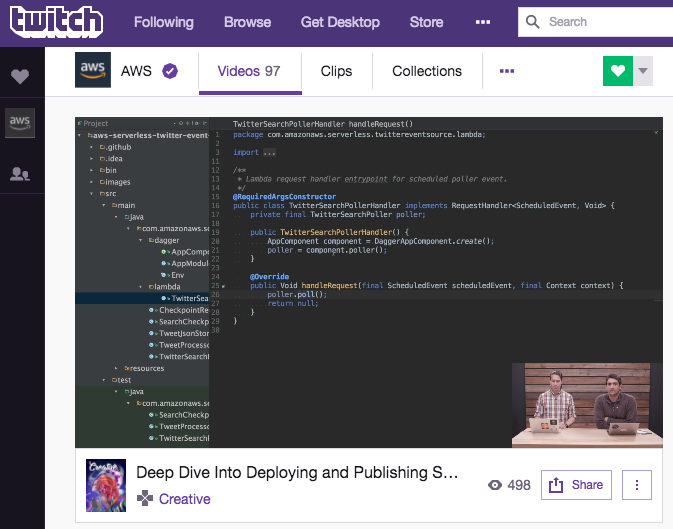 For information about upcoming broadcasts and recent live streams, keep an eye on AWS on Twitch for more Serverless videos and on the Join us on Twitch AWS page. In September, we announced the AWS Serverless Navigate program for AWS APN Partners. 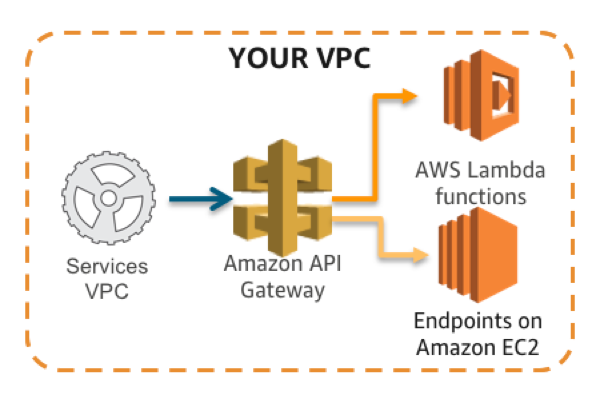 Via this program, APN Partners can gain a deeper understanding of the AWS Serverless Platform, including many of the services mentioned in this post. The program’s phases help partners learn best practices such as the Well-Architected Framework, business and technical concepts, and growing their business’s ability to better support AWS customers in their serverless projects. 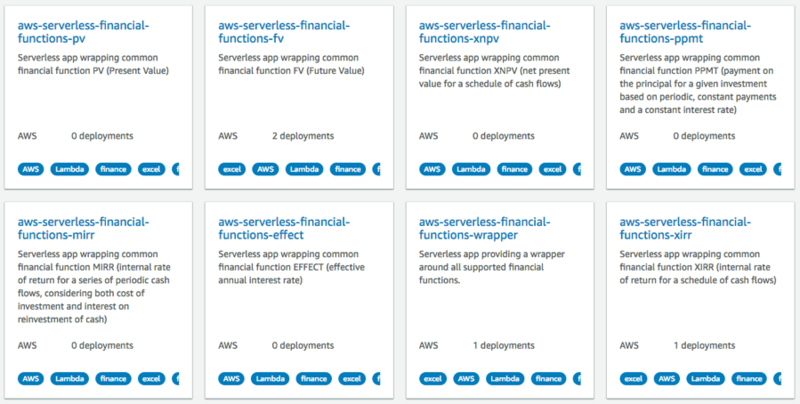 Check out more at AWS Serverless Navigate. AWS re:Invent 2018 is coming in just a few weeks! For November 26–30 in Las Vegas, Nevada, join tens of thousands of AWS customers to learn, share ideas, and see exciting keynote announcements. The agenda for Serverless talks contains over 100 sessions where you can hear about serverless applications and technologies from fellow AWS customers, AWS product teams, solutions architects, evangelists, and more. Want to get a sneak peek into what you can expect at re:Invent this year? Check out the awesome re:Invent Guides put out by AWS Community Heroes. AWS Community Hero Eric Hammond (@esh on Twitter) published one for advanced serverless attendees that you will want to read before the big event. What did we do at AWS re:Invent 2017? Check out our recap: Serverless @ re:Invent 2017. AWS [email protected] added support for Node.js v8.10. AWS has added 16 more AWS services to its Payment Card Industry Data Security Standard (PCI DSS) compliance program, giving you more options, flexibility, and functionality to process and store sensitive payment card data in the AWS Cloud. The services were audited by Coalfire to ensure that they meet strict PCI DSS standards. AWS now offers 58 services that are officially PCI DSS compliant, giving administrators more service options for implementing a PCI-compliant cardholder environment. For more information about the AWS PCI DSS compliance program, see Compliance Resources, AWS Services in Scope by Compliance Program, and PCI DSS Compliance. AWS maintains certifications through extensive audits of its controls to ensure that information security risks that affect the confidentiality, integrity, and availability of company and customer information are appropriately managed. AWS does not increase service costs in any AWS Region as a result of updating its certifications. Newly updated reports are available for AWS System and Organization Control Report 1 (SOC 1), formerly called AWS Service Organization Control Report 1, and AWS SOC 2: Security, Availability, & Confidentiality Report. 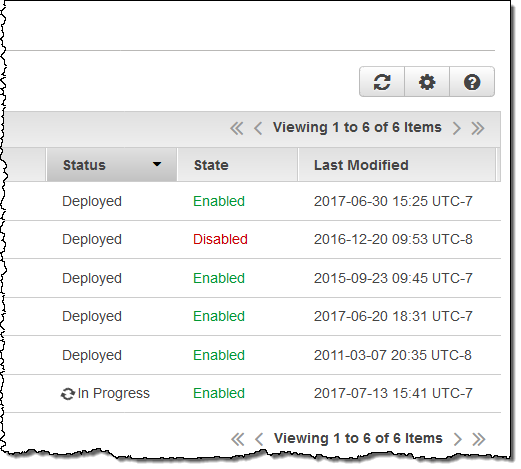 You can download both reports for free and on demand in the AWS Management Console through AWS Artifact. The updated AWS SOC 3: Security, Availability, & Confidentiality Report also was just released. All three reports cover April 1, 2017, through September 30, 2017. With this release, we also are introducing a separate spreadsheet, eliminating the need to extract the information from multiple PDFs. 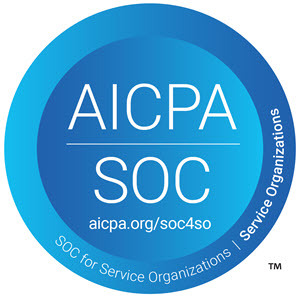 If you are not yet an AWS customer, contact AWS Compliance to access the SOC Reports. With the recent launch of [email protected], it’s now possible for you to provide even more robust functionality to your static websites. Amazon CloudFront is a content distribution network service. In this post, I show how you can use [email protected] along with the CloudFront origin access identity (OAI) for Amazon S3 and still provide simple URLs (such as www.example.com/about/ instead of www.example.com/about/index.html). You can also put CloudFront in front of S3 to further scale the performance of your site and cache the content closer to your users. CloudFront can enable HTTPS-hosted sites, by either using a custom Secure Sockets Layer (SSL) certificate or a managed certificate from AWS Certificate Manager. In addition, CloudFront also offers integration with AWS WAF, a web application firewall. As you can see, it’s possible to achieve some robust functionality by using S3, CloudFront, and other managed services and not have to worry about maintaining underlying infrastructure. One of the key concerns that you might have when implementing any type of WAF or CDN is that you want to force your users to go through the CDN. If you implement CloudFront in front of S3, you can achieve this by using an OAI. However, in order to do this, you cannot use the HTTP endpoint that is exposed by S3’s static website hosting feature. Instead, CloudFront must use the S3 REST endpoint to fetch content from your origin so that the request can be authenticated using the OAI. This presents some challenges in that the REST endpoint does not support redirection to a default index page. 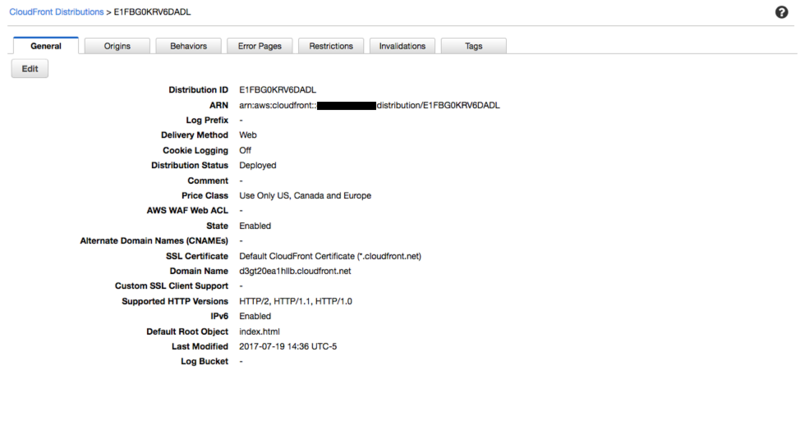 CloudFront does allow you to specify a default root object (index.html), but it only works on the root of the website (such as http://www.example.com > http://www.example.com/index.html). It does not work on any subdirectory (such as http://www.example.com/about/). If you were to attempt to request this URL through CloudFront, CloudFront would do a S3 GetObject API call against a key that does not exist. 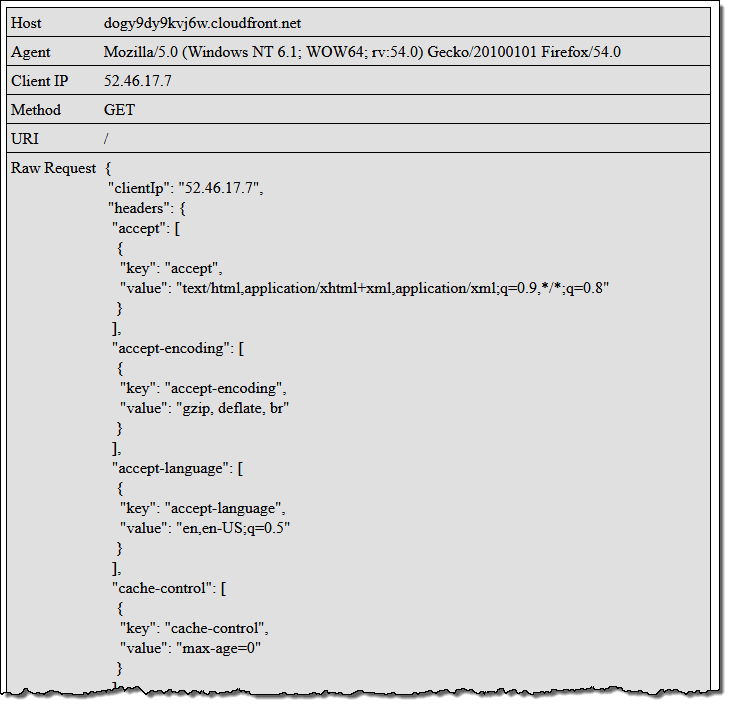 In this example, you use the compute power at the CloudFront edge to inspect the request as it’s coming in from the client. Then re-write the request so that CloudFront requests a default index object (index.html in this case) for any request URI that ends in ‘/’. On the other screens, you can just accept the defaults for the purposes of this walkthrough. If this were a production implementation, I would recommend enabling bucket logging and specifying an existing S3 bucket as the destination for access logs. These logs can be useful if you need to troubleshoot issues with your S3 access. Now, put some content into your S3 bucket. For this walkthrough, create two simple webpages to demonstrate the functionality: A page that resides at the website root, and another that is in a subdirectory. 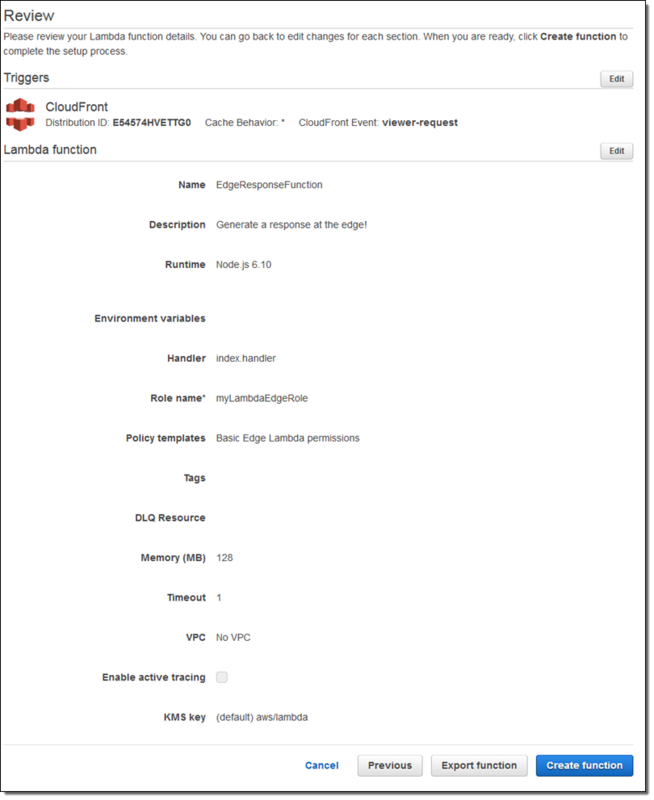 Next, create a CloudFront distribution that your users will use to access the content. 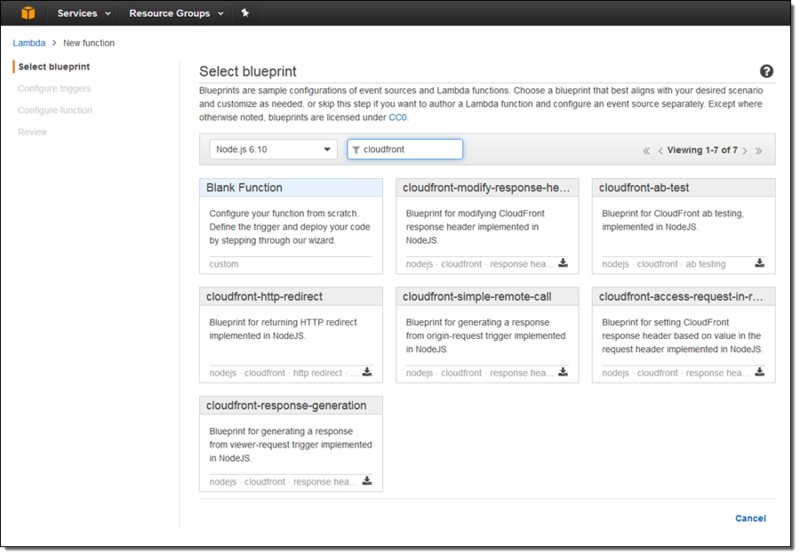 Open the CloudFront console, and choose Create Distribution. For Select a delivery method for your content, under Web, choose Get Started. Origin Domain Name: Select the S3 bucket that you created earlier. Restrict Bucket Access: Choose Yes. Origin Access Identity: Create a new identity. 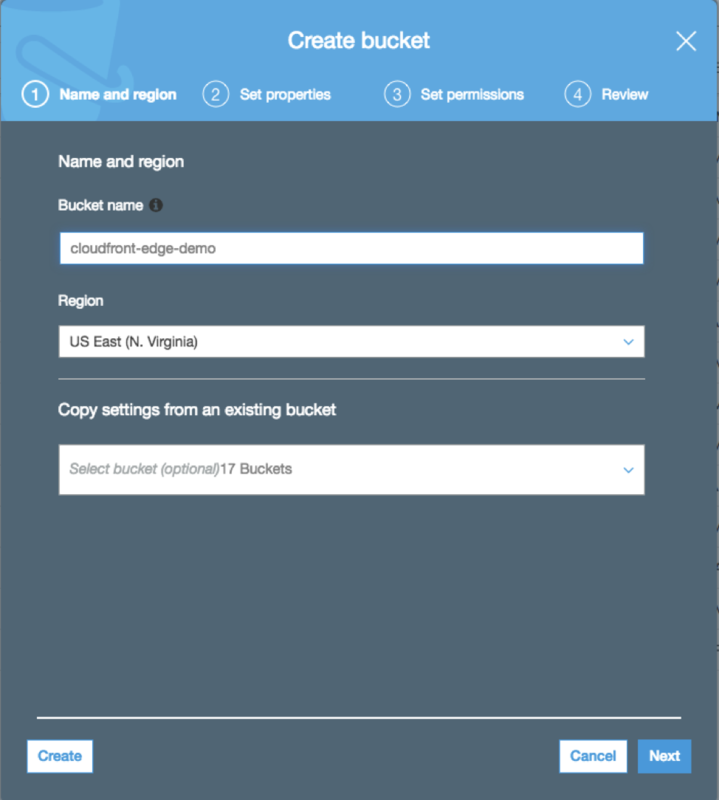 Grant Read Permissions on Bucket: Choose Yes, Update Bucket Policy. Object Caching: Choose Customize (I am changing the behavior to avoid having CloudFront cache objects, as this could affect your ability to troubleshoot while implementing the Lambda code). You can accept all of the other defaults. Again, this is a proof-of-concept exercise. 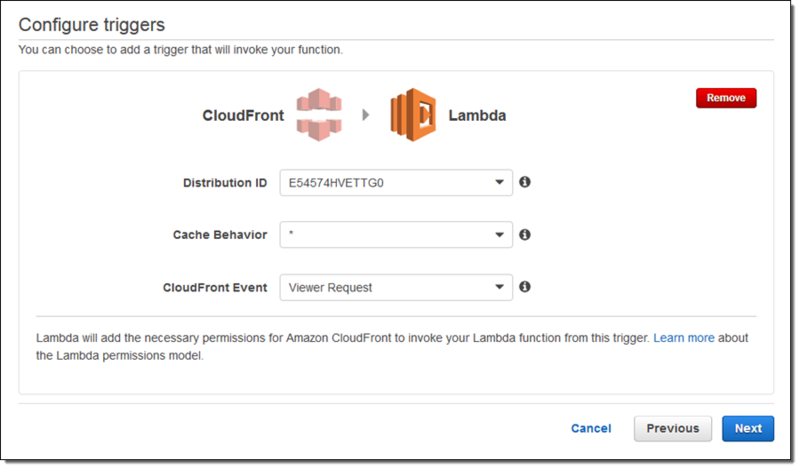 After you are comfortable that the CloudFront distribution is working properly with the origin and Lambda code, you can re-visit the preceding values and make changes before implementing it in production. This is because CloudFront is configured to request a default root object (index.html) from the origin. If you use a tool such like cURL to test this, you notice that CloudFront and S3 are returning a blank response. The reason for this is that the subdirectory does exist, but it does not resolve to an S3 object. Keep in mind that S3 is an object store, so there are no real directories. User interfaces such as the S3 console present a hierarchical view of a bucket with folders based on the presence of forward slashes, but behind the scenes the bucket is just a collection of keys that represent stored objects. In the Lambda console, choose Create function. On the next screen, skip the blueprint selection and choose Author from scratch, as you’ll use the sample code provided. Next, configure the trigger. Choosing the empty box shows a list of available triggers. Choose CloudFront and select your CloudFront distribution ID (created earlier). For this example, leave Cache Behavior as * and CloudFront Event as Origin Request. Select the Enable trigger and replicate box and choose Next. In a nutshell, these are the permissions that the function needs to create the necessary CloudWatch log group and log stream, and to put the log events so that the function is able to write logs when it executes. You have now configured a way for CloudFront to return a default index page for subdirectories in S3! 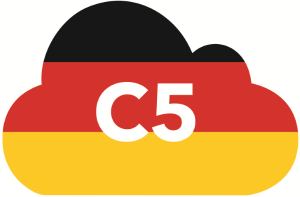 In this post, you used [email protected] to be able to use CloudFront with an S3 origin access identity and serve a default root object on subdirectory URLs. To find out some more about this use-case, see [email protected] integration with CloudFront in our documentation. If you have questions or suggestions, feel free to comment below. 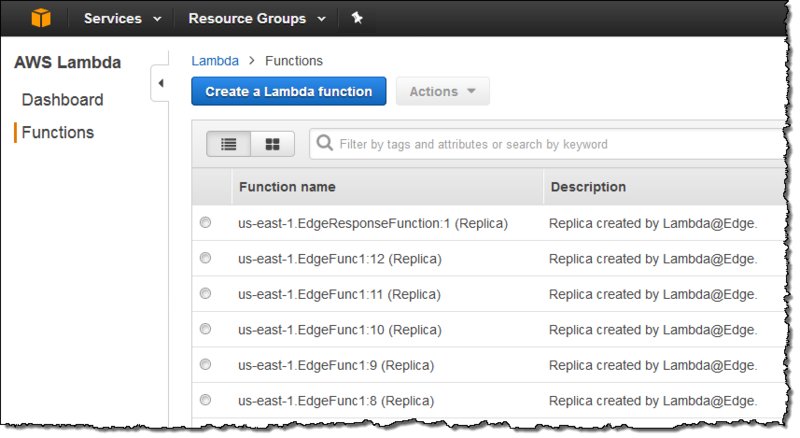 For troubleshooting or implementation help, check out the Lambda forum. 9:00 – 9:40 AM PDT: Deep Dive on [email protected]. Late last year I announced a preview of [email protected] and talked about how you could use it to intelligently process HTTP requests at locations that are close (latency-wise) to your customers. Developers who applied and gained access to the preview have been making good use of it, and have provided us with plenty of very helpful feedback. During the preview we added the ability to generate HTTP responses and support for CloudWatch Logs, and also updated our roadmap based on the feedback. Viewer Request – This event is triggered when an event arrives from a viewer (an HTTP client, generally a web browser or a mobile app), and has access to the incoming HTTP request. As you know, each CloudFront edge location maintains a large cache of objects so that it can efficiently respond to repeated requests. This particular event is triggered regardless of whether the requested object is already cached. Origin Request – This event is triggered when the edge location is about to make a request back to the origin, due to the fact that the requested object is not cached at the edge location. It has access to the request that will be made to the origin (often an S3 bucket or code running on an EC2 instance). Origin Response – This event is triggered after the origin returns a response to a request. It has access to the response from the origin. Viewer Response – This is event is triggered before the edge location returns a response to the viewer. It has access to the response. Functions are globally replicated and requests are automatically routed to the optimal location for execution. You can write your code once and with no overt action on your part, have it be available at low latency to users all over the world. Your code has full access to requests and responses, including headers, cookies, the HTTP method (GET, HEAD, and so forth), and the URI. Subject to a few restrictions, it can modify existing headers and insert new ones. Feel free to click on the image (it is linked to the root of my distribution) to run my code! Site Management – You can take an entire dynamic website offline and replace critical pages with [email protected] functions for maintenance or during a disaster recovery operation. High Volume Content – You can create scoreboards, weather reports, or public safety pages and make them available at the edge, both quickly and cost-effectively. Create something cool and share it in the comments or in a blog post, and I’ll take a look. Timeouts – Functions that handle Origin Request and Origin Response events must complete within 3 seconds. Functions that handle Viewer Request and Viewer Response events must complete within 1 second. Versioning – After you update your code in the Lambda Console, you must publish a new version and set up a fresh set of triggers for it, and then wait for the replication to complete. You must always refer to your code using a version number; $LATEST and aliases do not apply. Accessible – Can be read, written, deleted, or modified. Restricted – Must be passed on to the origin. Read-only – Can be read, but not modified in any way. Blacklisted – Not seen by code, and cannot be added. Runtime Environment – The runtime environment provides each function with 128 MB of memory, but no builtin libraries or access to /tmp. 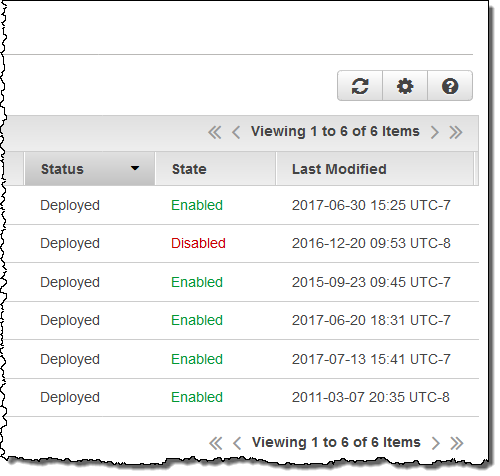 Web Service Access – Functions that handle Origin Request and Origin Response events must complete within 3 seconds can access the AWS APIs and fetch content via HTTP. These requests are always made synchronously with request to the original request or response. [email protected] is available now and you can start using it today. Pricing is based on the number of times that your functions are invoked and the amount of time that they run (see the [email protected] Pricing page for more info).